NOTES ABOUT COMMUNICATION is a documentary-drawing work in watercolor technique, which takes the focus of touch, sight, voice - a gesture! As an indication of the time and everyday passers-by. Somewhat ironically, seeks to explain the communication through visualization of non-communication. Template for the creation of the work is taken by previously read writings of Ludwig Wittgenstein on aesthetics, sound mark (the mark within language), anthropological archetypes of human behavior, sociological / political affiliation of a certain culture and enters the domain of subjective sensory experience of the observer. 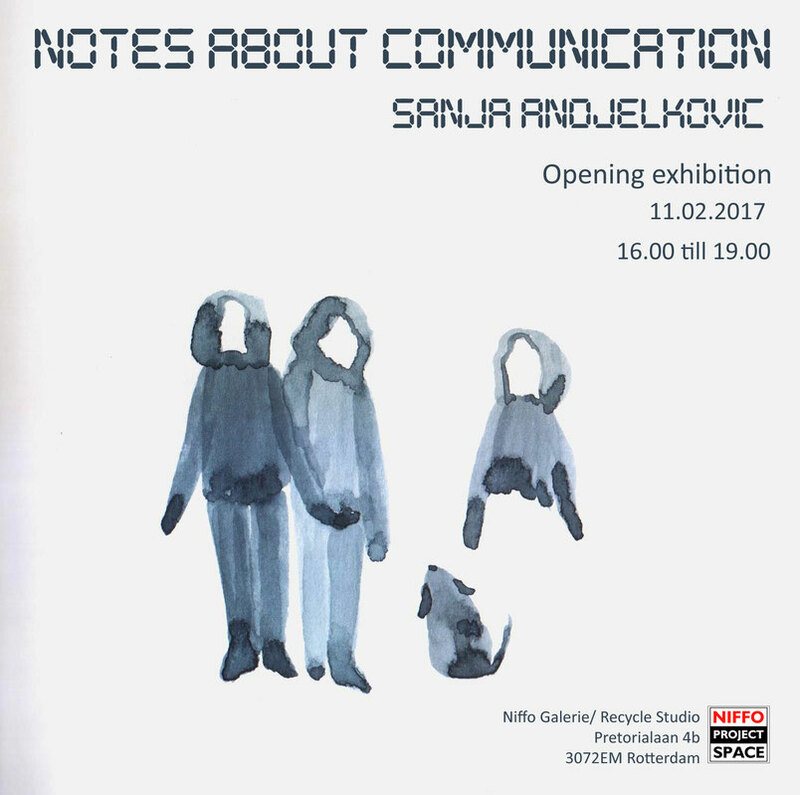 Sanja Andjelkovic (1991) is a visual artist, currently attending studies at the Academy of Arts in Novi Sad, Department of New Media. She is engaged in research in the field of documentary practice where considering/questioning its position in the system of gender, political, social roles or traumatic moments of personal biography/history.